With the passing away of someone close to you, you might feel like doing something special to keep the memories of that person alive in your heart with the passing years. You can accomplish this through a keepsake cremation urn. 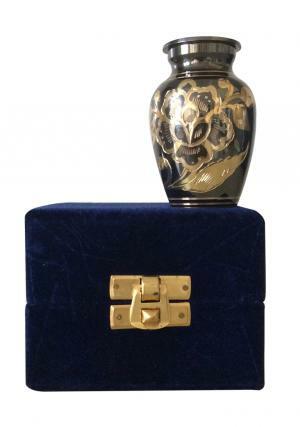 The Black Classic Nickel Keepsake Urn is a fine specimen of skilled craftsmanship. 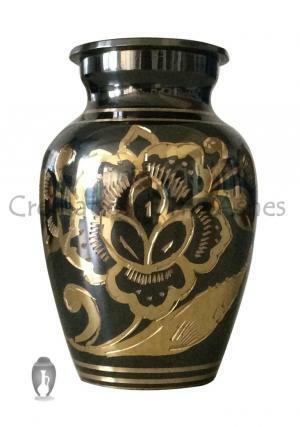 This brass urn for ashes has a nickel and black finish. 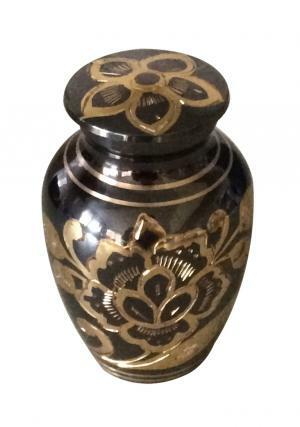 Shaped like that of an adult urn, it is designed to hold a token amount of cremains. The round screw-top lid keeps the contents secure, but we will seal it off if needed. 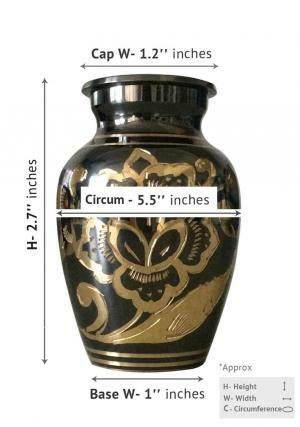 The urn is just 270 grams and 3 inches high, which makes it convenient to move around the house. 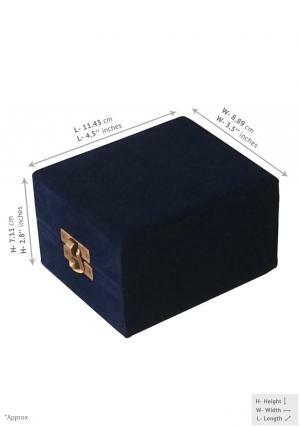 We have long-standing experience in the field of keepsake cremation urns, so we are able to guarantee 100% satisfaction to our valued clients. You get money back on unused urns and all payments are secure. There are no shipping charges for our products.